Stashed away between more humble freezer residents like Swiss chard, zucchini soup and blueberries, the gooseberries are my most prized frozen possession for a number of reasons. First, the three gooseberries shrubs in my garden do not yield that much any more, about one pound each (I should maybe consider renewing them). Picking the gooseberries is difficult and painful. Even with gloves and long sleeves I always end up with bloody scratches on my arms and hands. The gooseberries are small and removing the blossom ends is time-consuming. And every year it’s a mad race against the critters that often get to the gooseberries before I can. So why do all of this? Because I love gooseberries. 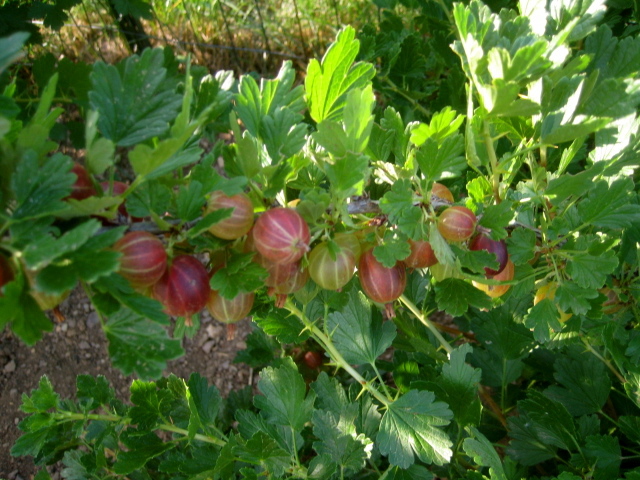 I grew up with them in Germany and a summer without gooseberries is just not a real summer. I had been pondering for a while what to do with the gooseberries in the freezer. I wanted to save them for a special occasion. 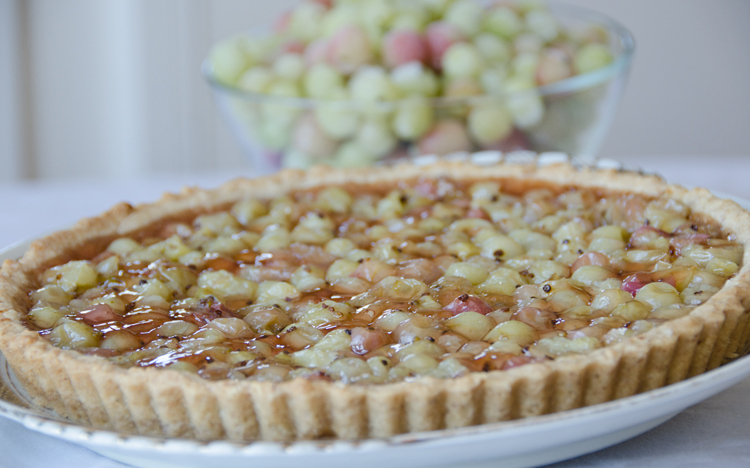 Until a few weeks ago, using a whole bag of gooseberries for a gooseberry tart seemed a frivolous splurge. Then it occurred to me that in four months, if – and gardening is always a big if – we do not have a late frost during the bloom that decimates the harvest, and if the raccoons leave the gooseberries alone (the row of shiny CDs dangling from a wire taut above the shrubs worked great as a deterrent last year) there will be a new harvest of gooseberries. So I made a Gooseberry Tart last weekend. Now I am down to two bags. I will use the second bag some time soon – for Gooseberry Relish, Gooseberry Chutney or Gooseberry Soup. The very last bag however I won’t touch until I have secured the 2015 gooseberries. I just do not wish to jinx it. 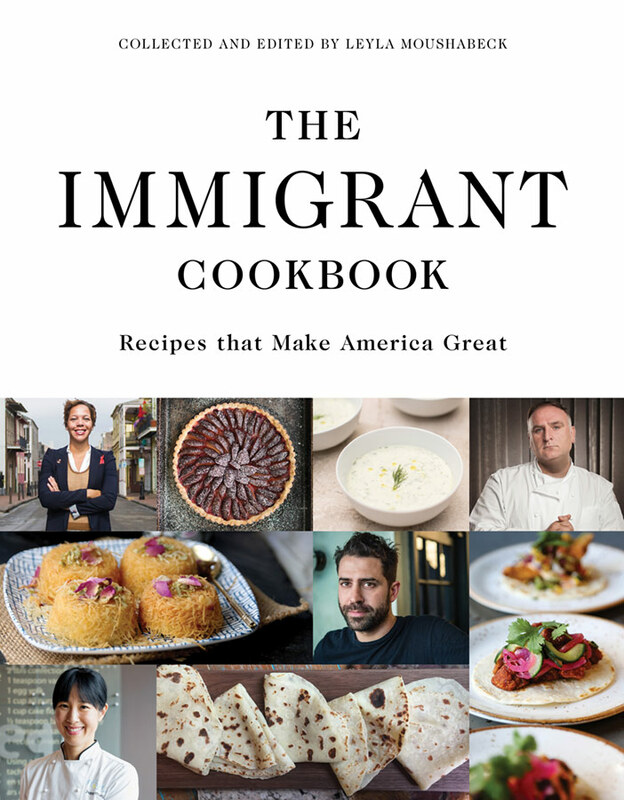 The crust recipe is adapted from Vegetarian Cooking for Everyone by Deborah Madison. Sprinkling some farina over the crust is a trick used in German baking to absorb the liquid from the fruit and prevent the crust from getting soggy. Gooseberries are very tart. We like it that way but if you prefer it sweeter, add more sugar when you assemble the tart. 1. For the crust, grind the almonds in the food processor to a fine meal. Add the flour, salt, sugar and butter and process to a crumbly consistency. Add the vanilla extract and 1 to 2 tablespoons ice water, just enough so that the dough holds together in a ball. Put the dough in a container with a lid or in plastic wrap and place in the fridge for 30 minutes. 2. For the filling bring the water and ½ cup sugar to a boil in a small saucepan. Tilt the pan back and forth to help the sugar dissolve, do not stir. Add the frozen gooseberries and cook over low heat for 5 minutes until they are no longer hard. Do not overcook them, as they fall apart easily. 3. Gently place the gooseberries into a fine colander or a sieve set over a bowl to catch the syrup. Let the gooseberries drain for 5 minutes, then strain the syrup back into the saucepan. Add the ginger and cook, uncovered, until reduced to a thick consistency. Set aside. 4. Grease the bottom and sides of a 9-inch tart pan, preferably one with a removable bottom. Roll out the dough between two pieces of wax paper to a 11-inch circle and fit it into the prepared pan. Trim the extra dough with a knife. Place the pan in the freezer for 10 minutes. 6. Sprinkle the farina over the chilled crust. Place the drained gooseberries on top in a single layer. If they are very tart and you like it sweeter, sprinkle them with 1 to 2 tablespoons sugar. 7. Bake in the preheated oven for 30 minutes. Drizzle with the reserved syrup and bake for 10 minutes more. 8. Let cool before removing the rim, then carefully run a knife around the rim to loosen the crust.